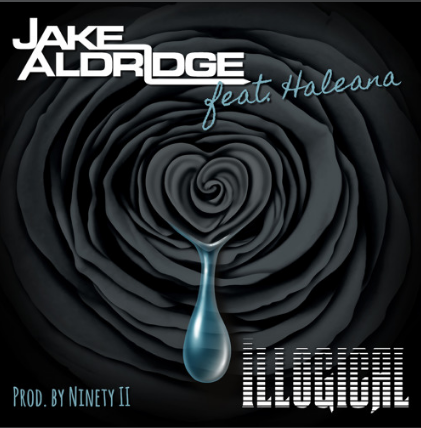 JAKE ALDRIDGE is back, firmly grabbing the blog’s limelight, with something completely different to his previous releases. Featuring rising belter, Haleana the latest single, Illogical gave the opportunity for the UK-based hip-hop/R&B artist to let rip and mix it up with a little electronica/rock to his smooth overtone trademark. The last few years have seen Jake’s rise from a bedroom act into a breakthrough artist working with producers including Gary Louca, who has achieved number 1s in the US dance charts. Jake has received airplay on a dozen BBC Introducing shows such as Tom Robinson’s Introducing Mixtape on BBC Radio 6 and his fresh style of music has also secured him Sync deals with Go DIY Records from LA and the UK’s Amurco Music. Illogical is now available on iTunes…for now, have a listen to the single.